Nice! The caption is perfect too. Neat! Nice textures and light. And the composition is just right. Good observation to see this.... looks good. 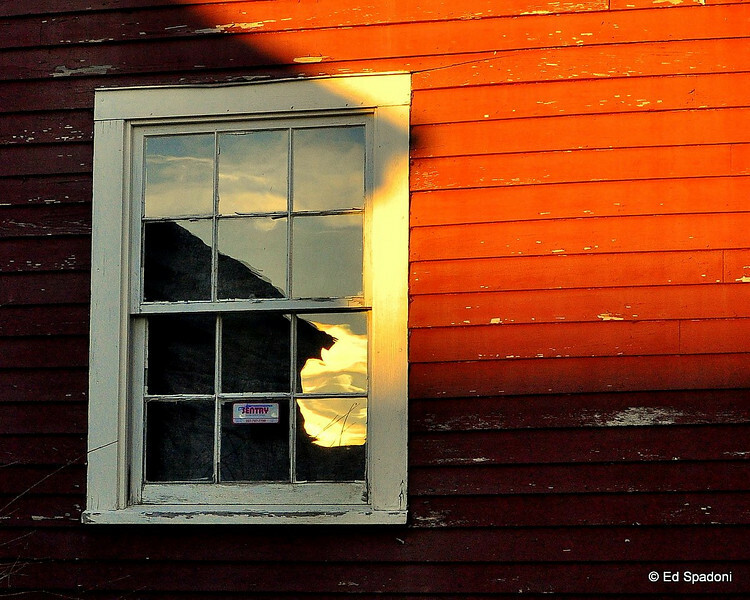 Beautiful color and light Ed, love the reflection in the window. Wonderful color and comp -- lovely light / shadows too! I like the lighting, texture and composition of this photo! Well done!